UIAA / Ice Climbing / ARE YOU READY FOR RABENSTEIN? ARE YOU READY FOR RABENSTEIN? As temperatures drop across Europe, competition in the UIAA Ice Climbing World Tour continues to intensify. This weekend, sandwiched between European events in Saas-Fee and Champagny-en-Vanoise, Rabenstein is the setting for round 4 of the six-event World Cup season. Partnered by Outdoor Research, the verdicts in this year’s World Tour are set to go down to the wire. 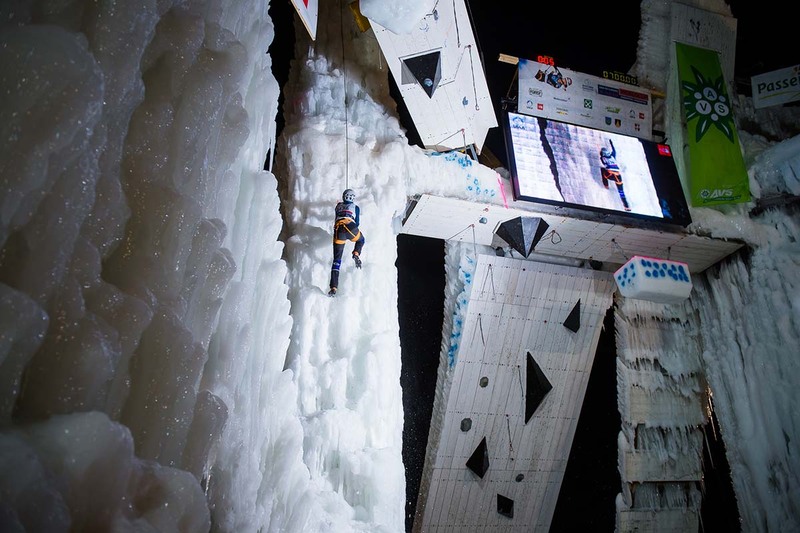 The event in Rabenstein, whose impressive ice tower is located in the Italian part of Südtirol, takes place from 2-3 February, with the speed competition taking centrestage on Saturday followed by lead on Sunday. The full programme can be downloaded here. YouTube embed codes for the livestream are available at the foot of this release. The livestream can also be followed on the UIAA Facebook Channel as well as on EXTREME and The Olympic Channel.